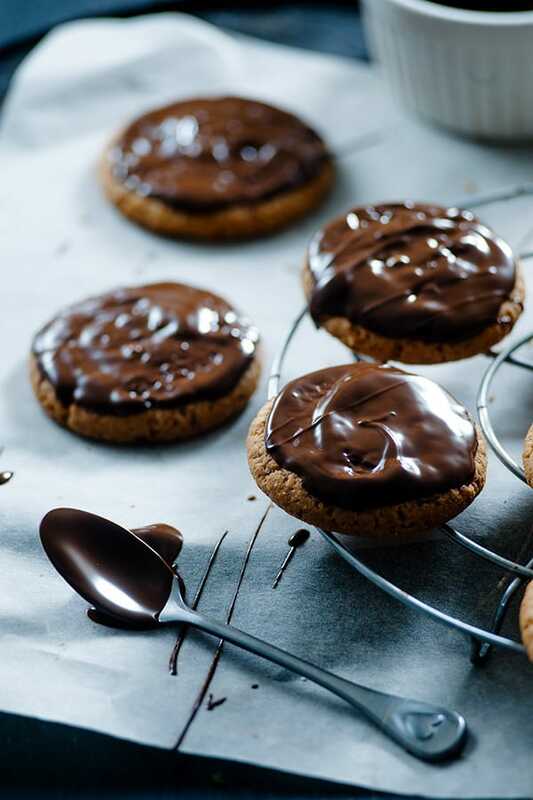 If you want to add something sinfully delicious to your weekday menu, then dark chocolate-dipped cookies are a must-try. 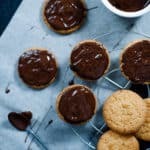 Plain dark chocolate cookies are a stand-alone dessert, but slather them in the creamy chocolate topping, and you have a treat that is beyond decadent. They’re loaded with tons of chocolate flavor that will keep you satisfied right down to the very last crumb. Almond flour and monk fruit sweetener are what make this low carb dessert possible. Almond flour is the perfect substitute for traditional flour, and it gives the cookie the same texture that you’re used to without any of the added carbs. Monk fruit keeps these cookies low carb and keto-friendly so anybody on a keto, gluten-free, or sugar-free diet can indulge in this fantastic snack. As far as a cookie recipe goes, the baking method is pretty similar to traditional cookies. Mix together all the ingredients, bake to perfection, and dip the cookies into the melted dark chocolate. It’s really that simple! Even a novice cook can pull this one off. Low Carb, Dark Chocolate Dipped Cookies! 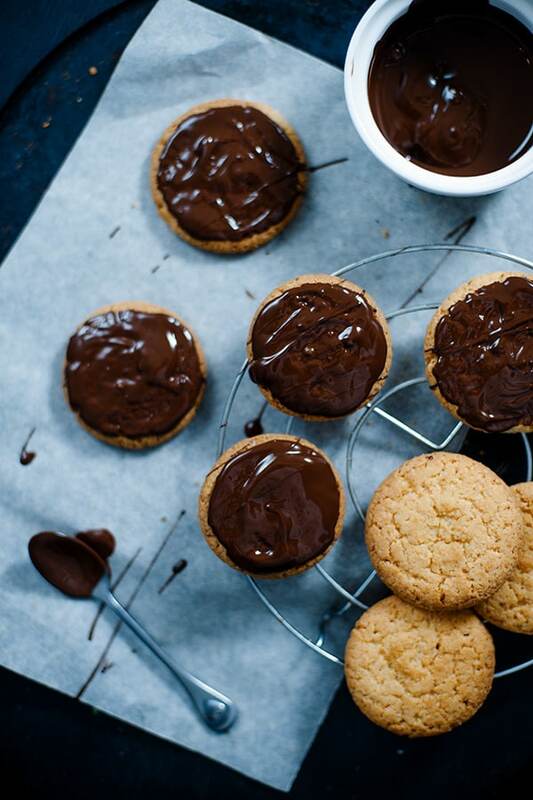 Dark chocolate-dipped cookies are perfect for an after-school snack, but they also have a fancy look that makes them excellent additions to any special occasion. They serve up nicely and can be made ahead of time. If you really want to serve up something that everybody will enjoy, then these chocolate dipped cookies are made for you! 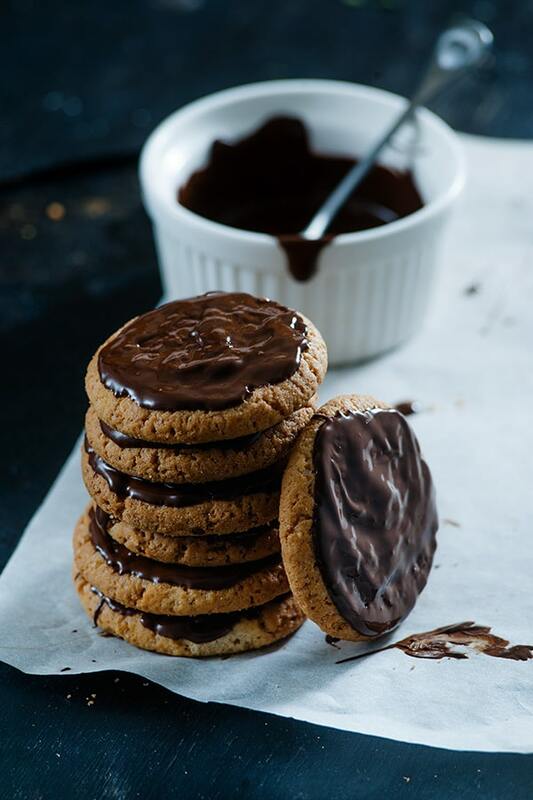 Recipe can be quickly added to MyFitnessPal - Search "KetoConnect - Chocolate Dipped Cookies"
This guest post is written by Vicky from So Nourished. You may know her from Tasteaholics – her keto diet blog. So Nourished is her & her co-founders’ venture into making quality low carb products more readily available for an easier keto diet! So Nourished are proud to be a ketogenic-first company and stand by the low carb diet principles. To see all the tasty ways their ingredients can be used, check out their blog and follow them on Facebook & Instagram. Whisk together the almond flour, monk fruit blend sweetener, baking soda, salt, and cream of tartar. In a separate bowl, beat together the coconut oil and butter until creamy. Beat in the eggs, one at a time, then beat in the vanilla extract. Add the dry ingredients in a cup at a time, beating well between each addition. Shape the mixture into small balls then place them on the baking sheets, flattening them slightly by hand. Bake for 15-18 minutes until just browned then cool to room temperature. Melt the dark chocolate in a double-boiler over low heat and stir smooth. Dip the tops of the cookies (or half the cookie entirely) in the chocolate and place them back on the cookie sheet until the chocolate cools and hardens.